You are in the market for a redesigned website. You have a budget, you have a list of things that you know you want, and you have found yourself a web development partner. Excellent! What could possibly go wrong? Well. You know how Murphy says that whatever can go wrong, will go wrong? You don’t have to listen to that guy! We’ve got years of knowledge and we’re here to help. In fact, we have advice on how to make your next web project the best thing you’ve experienced. Here’s what you can do to make your next web project run super smoothly. Nothing throws a monkey wrench into a project more quickly than a “must have” that was never previously discussed. You and your team know what you need your website or application to do — make sure you have covered everything with your dev team at the start of a project. If it’s added in after the fact, it likely will not be included in the scope of work that you have set up — and if it’s not in scope, it’s not covered by your contract. This will mean amending the contract (and likely the fees) and also the timeline for completion as more work takes more time. This will make you sad, it will make your dev team sad, and it will slow your project down. If there are things you cannot live without, your developer needs to know about them from the get go. Pro tip: meet with, or call, the dev shop you are thinking about using to consult on the project so they can help you to articulate your needs. A well-defined project is a project that runs like clockwork. We discussed this in Boaty McBoatface and the Struggle for Group Design, but it’s worth revisiting. When there is more than one point of contact on the client end, things get a little (or a lot) messy. It becomes unclear as to who the project manager should respond to when s/he has received input and/or instruction from multiple people at your end, and clarifying which directions should be followed, and which ones should be ignored, is a drain on everyone’s time and resources. Pro tip: Make the path of communication absolutely clear up front, and limit it as much as possible so that your dev partner is getting information from a single point of contact and not every member of your team. Imagine that you have a broken arm. You go to the doctor and, utilizing her skills and experience, she sets out a course of treatment for you. You probably wouldn’t tell her that you don’t like the cast materials that she has chosen, or that you think you could do a great job setting it yourself. That would be silly — she’s the professional that you have chosen and trust to take care of the problem that you have. You have made her your partner in ensuring that your arm heals well. A good development shop wants to partner with you. They have skills and experience and, using the clearly stated objectives that you have given them, will set out a course that will allow them to execute a plan and bring those objectives to life. They want to work WITH you — you need to trust that they have the knowledge, experience, and understanding to use the best possible systems to make your business goals a reality. Pro Tip: Don’t treat your dev shop like someone who works for you. Partner with them so they can work WITH you. Sometimes, your dev team will need things from you in order to proceed. That might be access to a database, content, login information to an existing system, or review of a page, but whatever it is, your project will likely stall without it. When your dev partner has questions or issues, it’s vital that you respond to them quickly, just as you would like them to respond to your issues and needs as rapidly as possible. Communication is key to keeping a project moving along. Even if you don’t have time to review a page right this minute, or if you have to get the access information from someone else? Let your dev partner know. A quick email saying, “I’m working on getting that for you and should have it tomorrow” or “I’ve set aside time to review that page on Thursday and will get back to you” lets your dev team plan out their workflow as they wait for your response … and gives them have an idea of when that response might come. Pro Tip: Let your dev team know that they can expect timely responses from you. It will keep your project moving smoothly! Some clients get really fired up about this CMS versus that CMS, this host versus that host … you get the picture. The thing is, however, that even though you REALLY love WordPress? It might not be the best choice for your site, because it might not provide your dev shop the flexibility that they need to meet your goals. 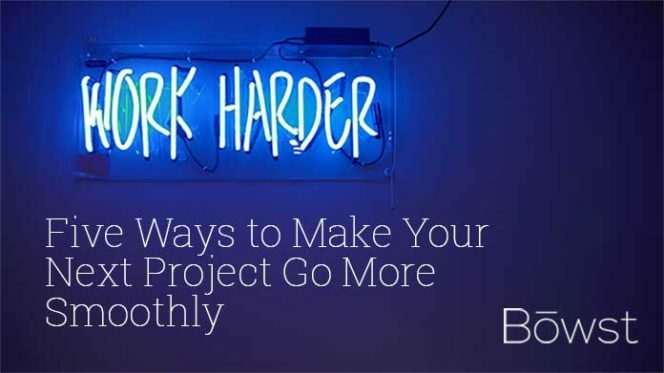 As a result, your project might get bogged down and delayed while your dev partner tries to force the tool that you were jazzed about to do the thing that you need it to do. In order for your project to go well, it’s important to focus on the big picture and not the tiny details. It’s better to let your dev shop make suggestions as to which tools and processes will make your project awesome, rather than fixating on ONE and then forcing your project into that narrow, possibly ill-fitting box. Remember your final objective: that’s the forest. Everything that gets you there is trees. You worry about the forest, and your dev shop will take care of the trees. Pro Tip: Keep your objectives in mind, and let your dev shop show you the most successful way of achieving those objectives. They focus on details so you don’t have to. We think that Murphy might have been overstating a bit by insisting that everything that can go wrong, will. The reality is that, yes, some bumps and snags are common in a project, but if you find a good development partner, communicate clearly, and work together as a team, you will minimize problems and have an excellent experience as well as an awesome website. Have a Holly Jolly (Stress Free) Holiday!